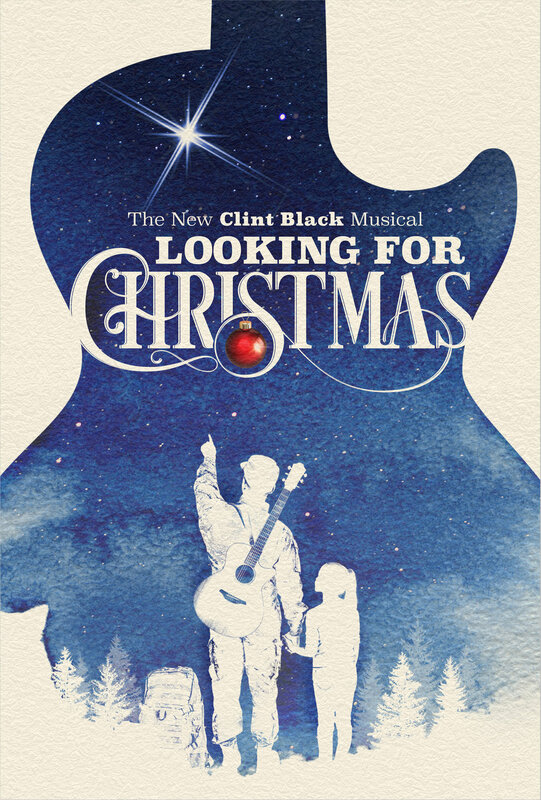 Clint Black and The 959 Group are thrilled to announce the new Clint Black musical, Looking for Christmas, will embark on a holiday tour in the 2019-20 season. The country music icon’s new American musical will make its world premiere November 20, 2018 at The Old Globe in San Diego. Tour cities and dates will be announced at a later date. Inspired by Black’s 1995 chart-topping holiday album of the same name, Looking for Christmas is a new musical about family, loyalty, and the magic of Christmas. Amid the commotion of the holidays, Staff Sergeant Mike Randolf returns from Afghanistan and home to his family. But before Mike can open his heart to the joy and spirit of the season, he must make peace with the past and let go the ghosts of the battlefield. While Mike’s wife helps him readjust to civilian life, it’s their precocious young daughter’s sweet search for the true meaning of Christmas that leads the family toward healing. This heartwarming musical is sure to become an enduring holiday classic. Looking for Christmas features music and lyrics by Clint Black, a book by James D. Sasser with Clint Black, direction by Kent Nicholson, and music direction and supervision by Matt Hinkley. The tour is produced by The 959 Group (Kent Nicholson, James D. Sasser, Charles Vincent Burwell, Henry Ivey, and Juliet Ivey) and Clint Black with Executive Producer Greg Schaffert and General Manager Fifth Estate Entertainment (Nathan Gehan). Looking for Christmas will premiere at The Old Globe in San Diego with performances beginning November 11 and now extended to December 31, 2018. Tickets are now available at TheOldGlobe.org. For more information on Looking for Christmas, visit LookingForChristmasMusical.com.